"His quest for vengeance... may cost him everything." Royal Deceit is a retelling of Shakespeare's Hamlet, based on the original Danish source material. The plot is the same as you might imagine it; the uncle kills our protagonist's father and seduces his mother and the Hamlet-character must find strength in revenge to reclaim his rightful place on the throne. However, do not expect the Shakespearian ending. This movie follows the ending of the original Viking tale much more closely. The cast is star-studded, including Helen Mirren and Christian Bale, who help tell this bare-bones version of a true classic. 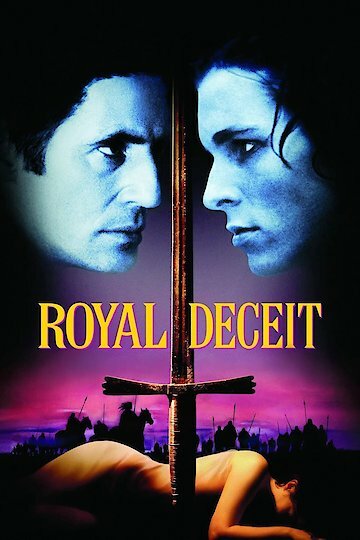 Royal Deceit is currently available to watch free on Tubi TV and stream, download, buy on demand at Amazon Prime, Amazon, Vudu, Google Play, iTunes, YouTube VOD online.